The 2018 Easter Rally will take place at Park Farm Caravan and Camp Site which is near Bodiam Castle on the Kent / East Sussex border. Bodiam is north of the historic and picturesque town of Battle (of 1066). Rye, Winchelsea, Hastings, Eastbourne and the Seven Sisters are all within cyclable distance. The area is awash with traditional Sussex architecture and oast-houses. There are also numerous farm shops with cafes. 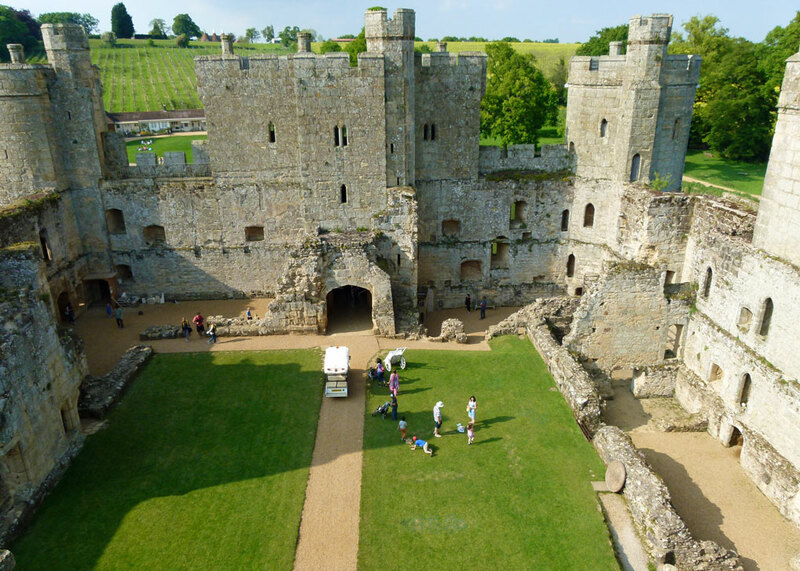 Bodiam Castle, Battle Abbey and the Kent and East Sussex Railway are all close by. The campsite is away from the road, and comprises several large fields. There are approximately 40 electric hook-ups which will be held for us until 31st January 2018. There is a good childrens’ playground with covered area. There is also a modern barn / storage unit which we will be using for the Friday night social and Saturday night AGM. Onsite there is a mini camp shop and snack bar. STOP PRESS: An email detailing how to obtain the routes for the rally has been sent to all rally-goers. If you have not received the email or have any problems please contact the organiser at tce2018@tandem-club.org.uk You will need to download your own cue sheets or gpx files. Extra days following the rally can be booked direct with Park Farm Caravan and Camp Site. Telephone 01580-831982, email: info@parkfarmcamping.co.uk. Parking is available on the rally field for day riders. A choice of three rides of different lengths will be offered each day, which inter-weave with each other. Participants are free to interpret the routes as they wish, riding on their own and seeing who they meet up with or forming small ad hoc groups. Routes. Bookings close on Wednesday 28th February 2018. The nearest Youth Hostel is in Eastbourne, but is 25 miles from the campsite. There are several B&Bs nearby. Search for Robertsbridge and Bodiam. You could also consider The Hub ( http://www.thehubquarryfarm.co.uk/ ), which is just South of Bodiam and has a lovely café. Rides will visit the beautiful villages and countryside of Kent and East Sussex. The Route Sheets and GPS files will be e-mailed to all who have booked for the rally, 1 month before the start of the rally. This year’s AGM will be held on Saturday 31st March 2018 at 5.00 p.m. in the barn on the camp site. Please bring your own chairs. There are many places to visit should the weather turn inclement including Bodiam Castle, Battle Abbey and the Kent and East Sussex Railway.